By Richard Clayderman. This edition: Interactive Download. Pop, Standards. Piano Solo. 4 pages. 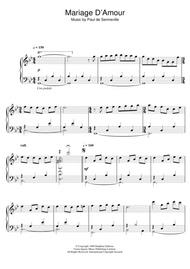 Published by Hal Leonard - Digital Sheet Music (HX.366199). 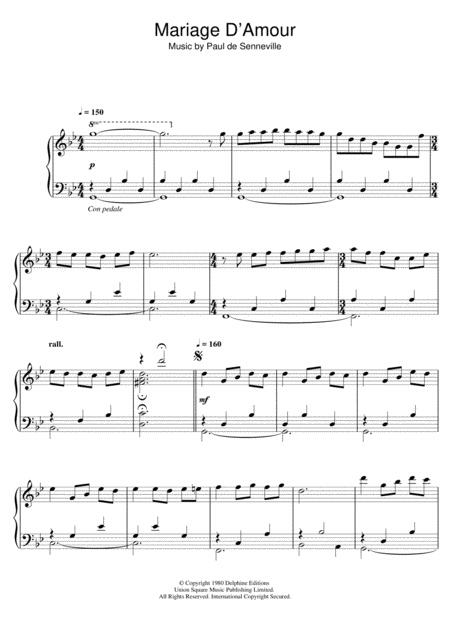 Interactive Downloads are dynamic sheet music files that can be viewed and altered directly in My Digital Library from any device. Interactive features include: playback, tempo control, transposition, melody instrument selection, adjustable note size, and full-screen viewing. Once you download your personalized sheet music, you can view and print it at home, school, or anywhere you want to make music, and you don’t have to be connected to the internet. Just purchase, download and play! PLEASE NOTE: All Interactive Downloads will have a watermark at the bottom of each page that will include your name, purchase date and number of copies purchased. You are only authorized to print the number of copies that you have purchased. You may not digitally distribute or print more copies than purchased for use (i.e., you may not print or digitally distribute individual copies to friends or students).